Russia's hybrid military forces attacked Ukrainian army positions in Donbas six times in the past 24 hours, with three Ukrainian soldiers reported as wounded in action (WIA), according to the press center of the Anti-Terrorist Operation Headquarters. No ceasefire violations were recorded along the contact line on Monday starting from 19:00 Kyiv time. In the Luhansk sector, the enemy had been shelling Ukraine’s positions at the Svitlodarska Duha bulge for more than four hours. At first, the militants fired heavy machine guns and 120mm mortars on the defenders of the village of Luhanske, having launched about 50 shells. Later, they used machine guns and grenade launchers near the town of Svitlodarsk. Read alsoUkraine says Christmas truce in Donbas lasted almost a dayIn the Donetsk sector, the invaders opened fire from heavy 120mm mortars on the defenders of the village of Pavlopil, as well as from infantry fighting vehicles, grenade launchers and machine guns -- outside the village of Talakivka. The enemy was also active near the village of Novotroyitske in the afternoon. Occupation forces mainly used small arms, also involving sniper fire, and later increasing fire pressure by employing grenade launchers. 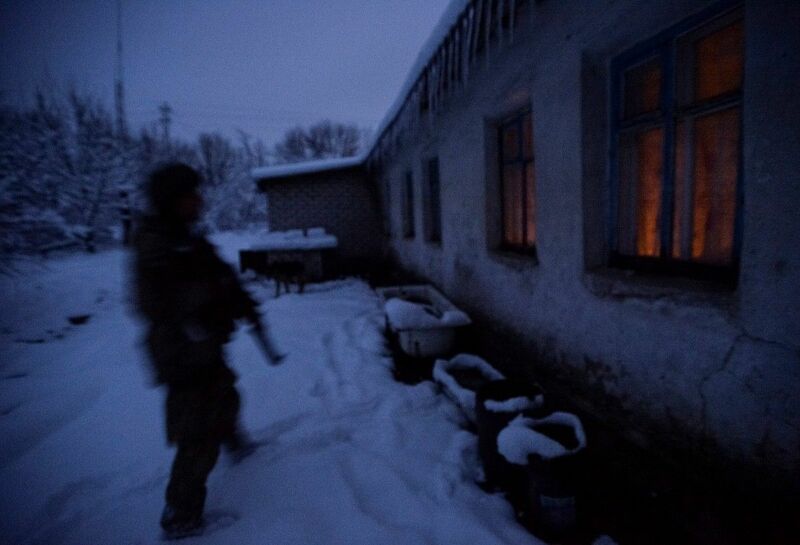 Ukrainian troops were forced to return fire in the area, using small arms and grenade launchers.